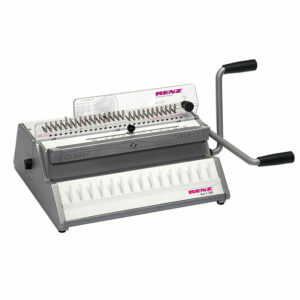 Renz WBS 360 Renz Ring Wire Machines Just £322.83 Renz Binding Machines now in stock.Order online or by phone. Next day delivery on orders made before 12pm. 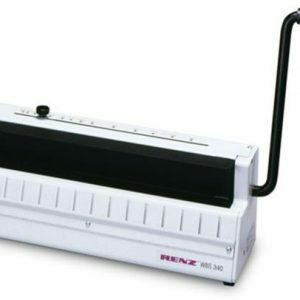 Standalone wire manual closing machine for closing RENZ RING WIRE® elements from ø 5,5 mm – 38 mm (3/16″ – 1 1/2″) independent of pitch, working width 360 mm. 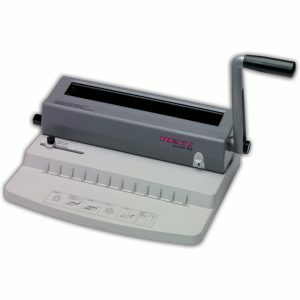 Renz eco S 360 2:1 pitch manual punching and binding machine designed for regular use in a small to medium sized office. 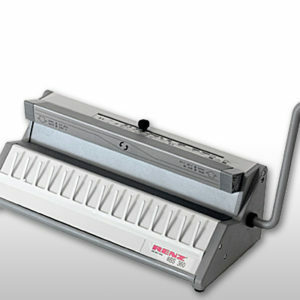 Renz RW Home Entry-level desktop home range for punching and RENZ RING WIRE® binding. For use with low volumes of books at home.